Half Day Tours are ideal for perfect for visitors with limited time, or those with young children or the elderly who may prefer a shorter visit. 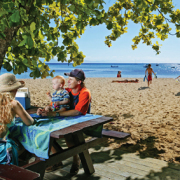 Depending on the departure times you choose, you can spend from as little as 2 hours on the island. 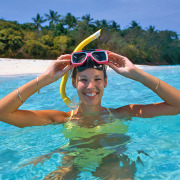 Big Cat Cruises and Great Adventures both offer half day fast catamaran cruise options from Cairns. Arrive Cairns approximately 12.50pm, 3.20pm and 5.20pm. Big Cat offers similar packages with half day departure options at 9am & 1pm. 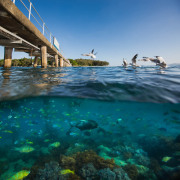 A half day reef cruise departing Cairns at 9.00am allows 2 hours on Green Island and arrives back into Cairns at 12.45pm. 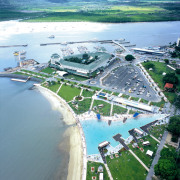 A half day reef cruise departing Cairns at 1.00pm allows 2 hours on Green Island and arrives back in Cairns at 5.00pm. 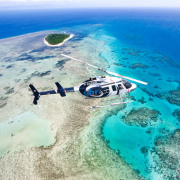 Travel in style over the Great Barrier Reef and view the pristine marine wilderness from the air. A half day heli adventure will allow you maximum time to explore the rainforest, take a refreshing dip in the island’s pool, view the teeming marine life on a glass bottom boat tour or get up close and personal with the marinelife and snorkel off the white sandy beaches. 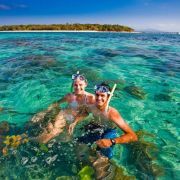 Depart the Cairns City Heliport at 10:00am, arrive Green Island at 10:20am and return to Cairns at 2:30pm by luxury catamaran.